Until 1951, England had laws strictly prohibiting the practice of witchcraft. When the last act was repealed, Gerald Gardner began to publish his work, and brought witchcraft back into the public eye without threat of prosecution. Put into effect on June 1, 1653, the Witchcraft Laws mandated the outlawing of any kind of witchcraft-related activities. The 1951 repeal made it easier for modern Wiccans —Gardner was able to go public just a few years later, when he published Witchcraft Today in 1954. From 1541 to 1951, England had laws forbidding witchcraft; during the early years it was a felony, punishable by death. 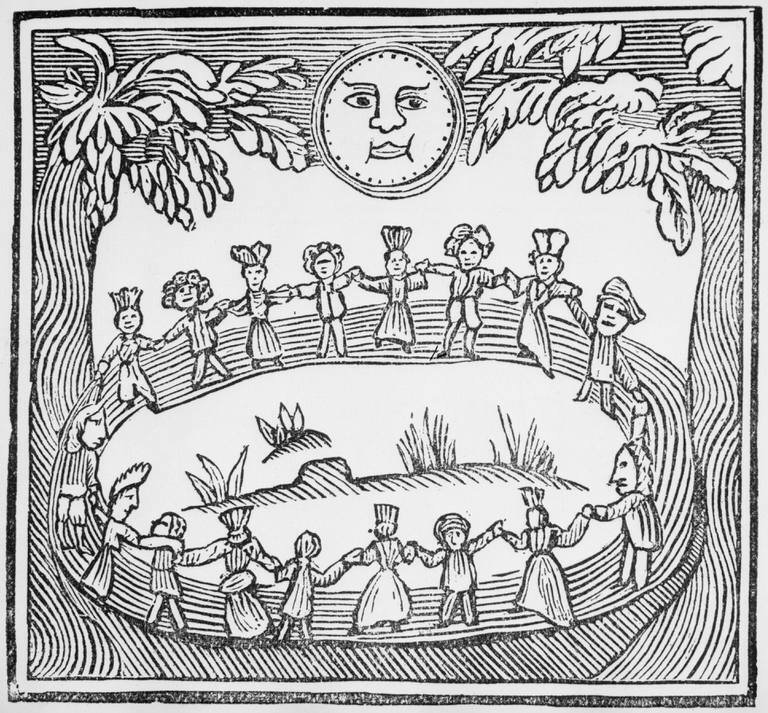 Well-known and highly publicized witch trials in England included the Pendle trials, as well as cases in Hertfordshire and Chelmsford. The belief in witchcraft, pacts with the Devil, and supernatural powers was an extension of the great changes in religious and cultural life in the country at the time. It's important to note that the 1653 Witchcraft Laws were not the first to appear in the English judicial system. In 1541, King Henry VIII passed a piece of legislation that made witchcraft a felony, punishable by death. In 1562, Henry's daughter, Queen Elizabeth I, passed a new law that said witchcraft would only be punished with death if harm had been caused - if no physical harm was done to the alleged victim, then the accused only faced imprisonment. There were a number of well-known and highly publicized witch trials in England, many of which we still talk about today. Let's tale a brief look at three of them that are historically significant. In 1612, a dozen people were accused of using witchcraft to murder ten of their neighbors. Two men and nine women, from the Pendle Hill area of Lancashire, eventually went to trial, and of these eleven, ten were eventually found guilty and sentenced to death by hanging. Although there were certainly other witchcraft trials taking place in England during the fifteenth to eighteenth century, it was rare for so many people to be accused and tried at once, and even more unusual for so many people to be sentenced to execution. Of the five hundred or so people executed for witchcraft in England over three hundred years, ten were the Pendle witches. Although one of the accused, Elizabeth Demdike, had been known in the area as a witch for a long time, it's entirely possible that the accusations which led up to formal charges and the trial itself were rooted in a feud between Demdike's family and another local clan. For a fascinating look at the trials, you can read The Wonderfull Discoverie of Witches in the Countie of Lancaster, which is an account of the events by Thomas Potts, the clerk to the Lancaster Assizes. In 1563, a law was passed regarding "Act Against Conjurations, Enchantments and Witchcraft," and one of the first major trials under this legislation took place just three years later, at the Chelmsford Assizes. Four women—Elizabeth Frauncis, Lora Wynchester, and mother and daughter Agnes and Joan Waterhouse—were accused. Frauncis told the court she had been practicing witchcraft since the age of twelve, having learned from her grandmother, and that she fed her blood to the Devil in the form of a white cat which she kept in a basket. Agnes Waterhouse had a cat that she kept for a similar purpose—and she had even named it Satan. Frauncis went to jail, Agnes was hanged, and Joan was found not guilty. This trial is significant because it's the first documented case of a witch using an animal familiar for metaphysical purposes. You can read more in the digital version of a popular pamphlet of the time, The Examination and Confession of Certain Wytches at Chensforde. In spring 1712, Jane Wenham stood before the Hertfordshire Assizes, charged with “conversing familiarly with the Devil in the shape of a cat." Although the judge in the trial seems to have been a bit skeptical about the evidence, Wenham was nonetheless found guilty and sentenced to hang. However, Wenham was pardoned by Queen Anne herself, and lived quietly for the rest of her days, until her death in 1730. Wenham was the last person convicted of witchcraft in England, and her pardon is generally seen as the mark of the end of an era. It's important to keep in mind that England's "witch trial" phase lasted less than three centuries, despite the excessive number of trials on the European mainland. The period from the reign of Henry VIII up until the early 1800s was a time of great political, economic and social upheaval in England. The belief in witchcraft, pacts with the Devil, and supernatural powers—and the need to prosecute those who practiced these things—was an extension of the great changes in religious and cultural life in the country at the time. What is the Rule of Three - and Do All Pagans Follow It? The Law of Attraction - What is "The Secret"?